Well, they are 62x50, but you can easily trim them for TS/RA2. This thread will be a work in progress, as I will add in more when I get to them. 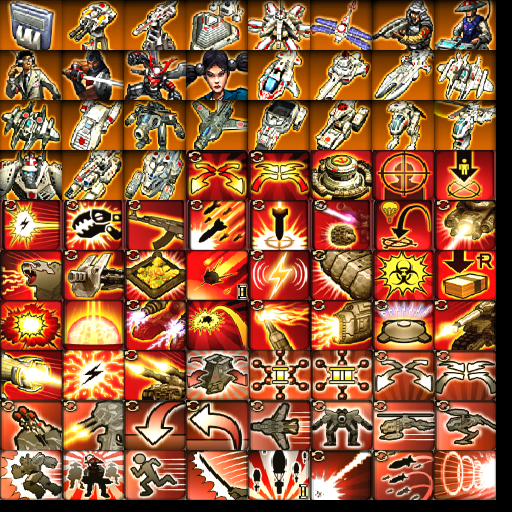 Secondary abilities I will see what I can do with, but as of now the buttons are too small. But I bet you guys can find a use for these, so here. I will also map the image for you (whoever is a generals modder here) when I fill the sheet. Great but what about the big unit portrait? Honestly, kinda useless without one. The "big" unit portrait (of ra3) is actually smaller than the big portrait of Generals. So I'm gonna go and try to find as much concept art as I possible can and work with that to make the big portraits. I added the allies, and I fit some jappanese ones in the room that was left. Don't expect the rest of the jappanese ones anytime soon though. They look pretty good.. but, something bothers me. why make ra3 cameos for use in an obvious ra3 generals mod when the ra3 engine is obviously better? And don't say it's because ra3 lacks a SDK, because we sure as hell didn't get one for ra2.. But anyways, again nice cameo's Dafool. Thanks. I mod generals because i's like the intro games into the 3d realm. 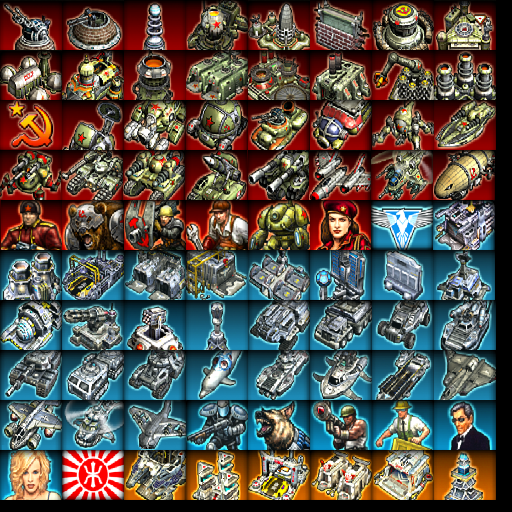 It's probably a halfway between say Ra2 and Ra3, and there are abundant tools for modding generals. You can also mod generals with like, just XCC Mixer and and notepad, no need to complie or anything. 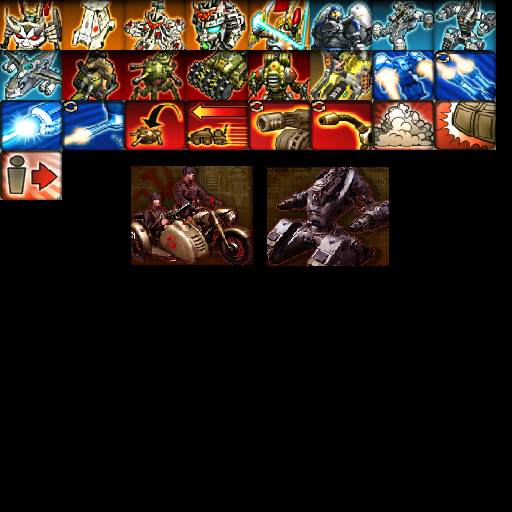 Anyways, these cameos can be used for generals, and they are sized close enough (62x50) that if someone trimmed them down a little bit they can be used for Ra2/TS. So I thought these be very useful to post. bump, added the uprising cameos, along with a few action ones I missed.